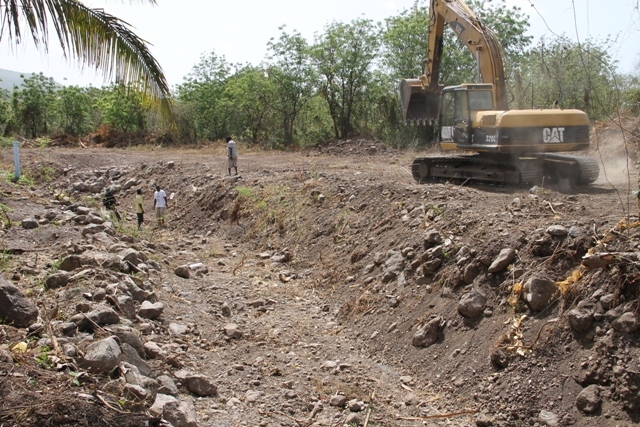 NIA CHARLESTOWN NEVIS (MAY 11, 2015) –The Nevis Public Works Department in collaboration with D C Equipment are working towards the clearing and cleaning of the main ghaut located in the Stoney Grove area. The cleaning of the ghaut is a preventative measure that would lessen the effects of flooding that usually occur after heavy rains especially in hurricane season. 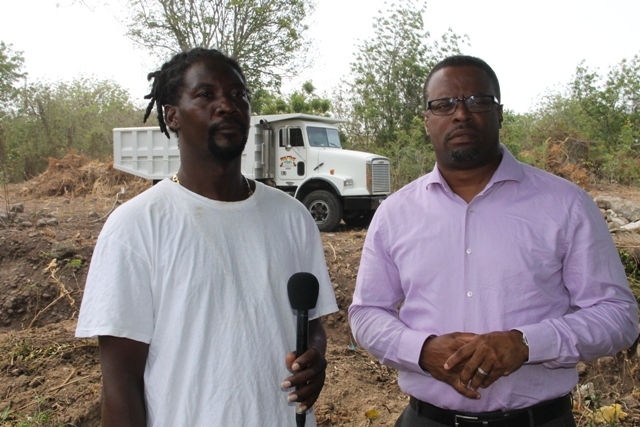 Deputy Premier of Nevis Hon Mark Brantley and Managing Director of DC Equipment and Stoney Grove resident Dale Claxton visited the site on Friday 8th May, 2015. 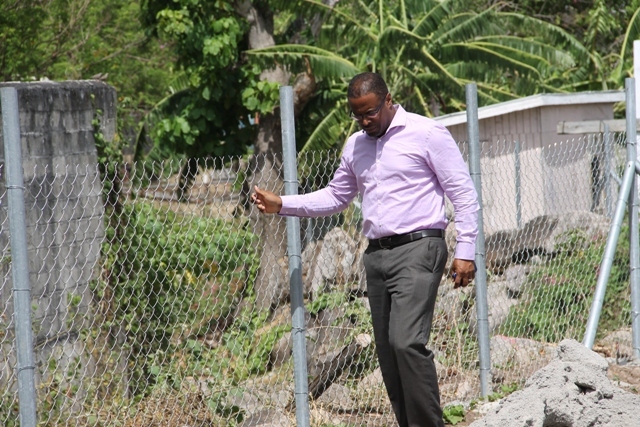 Hon Brantley told the Department of Information that the project was to ensure that the residents feel safe and comfortable during the hurricane season and times of flooding. Minister Brantley thanked Mr. Claxton for his contribution and involvement in the work being done and he also singled out the Junior Minister responsible for Public Works, Troy Liburd for his support in the project.